UPA chairperson Sonia Gandhi, accompanied by her son and Congress president Rahul Gandhi, left for abroad on Sunday night for a medical check-up. Rahul Gandhi has been at the receiving end of mockery in the past, allegedly by the Bharatiya Janata Party’s (BJP’s) so-called troll army, for flying in and out of the country. The Congress chief this time left a message on Twitter for his critics before embarking on a journey, asking them to not get “too worked up”, and that he would be back soon. To my friends in the BJP social media troll army: don’t get too worked up…I'll be back soon! Sonia Gandhi will be traveling abroad for her annual medical examination. She had undergone a surgery in the US in 2011. While Rahul Gandhi will return within a week, Sonia Gandhi will stay abroad for a longer period, sources told PTI. hey said some key decisions, including the allocation of ministerial portfolios in Karnataka after a Congress-JD(S) government led by HD Kumaraswamy, was formed in the southern state last week, have been put on hold. Some fresh appointments in the Congress are also awaited as part of the party’s rejig under Rahul Gandhi. The Congress chief held deliberations with party leaders since yesterday to decide on the portfolios for the party’s legislators in Karnataka, but the discussions remained inconclusive. 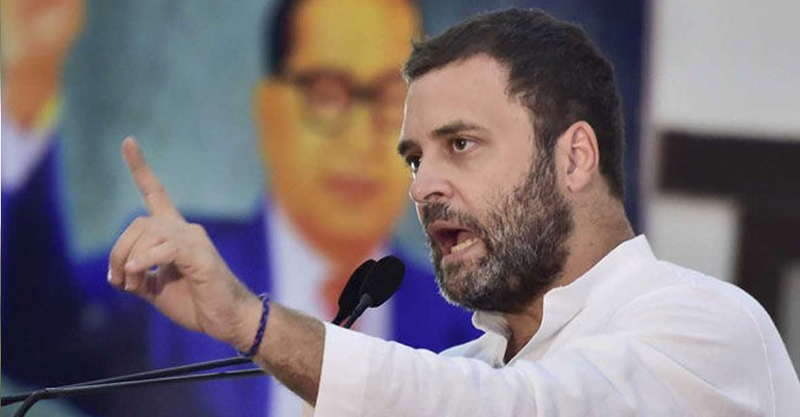 The sources said Rahul Gandhi is scheduled to address a rally at Mandsaur in Madhya Pradesh on June 6 to commemorate the first anniversary of police firing on farmers there.